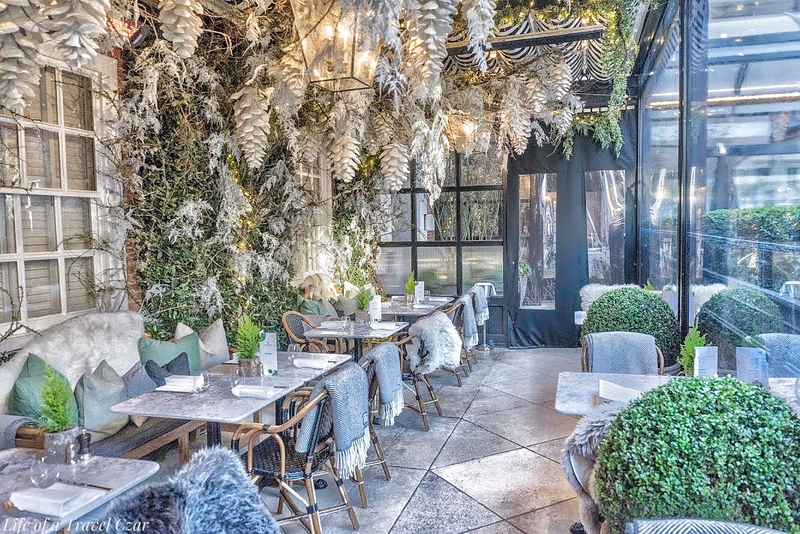 In my visit to London I caught the tail end of winter and found refuge in the heated hideaway of Dalloway Terrace situated in the Bloomsberry Hotel. It’s a winter wonderland; beautiful candle lit terrace, decorated with snow-capped winter foliage, pine cone twirled lighting, marble tables and seats draped with faux-fur skins and blankets. The theme has now changed to Spring with a floral aesthtic which is equally beautiful! 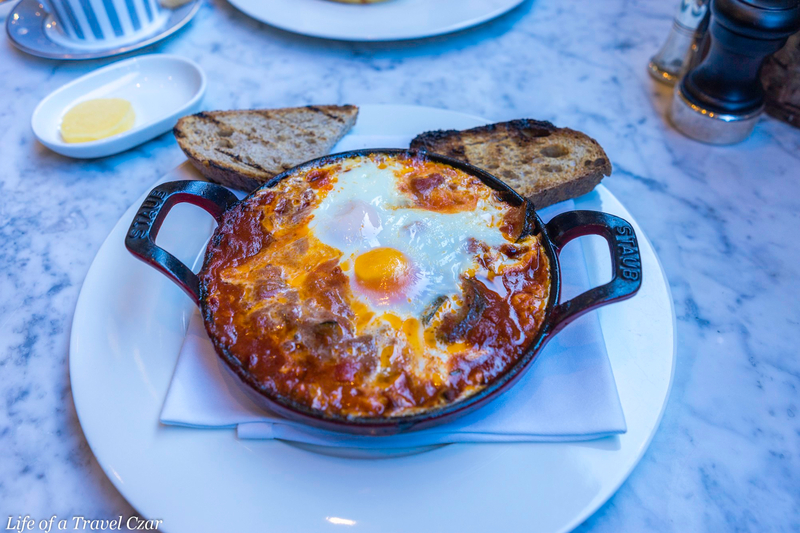 From an aesthetics perspective, there’s nothing quite like an eggs shakuska, with a rich tangy tomato sauce and a sunny-side up egg paired with a crusty toasted sourdough. The perfect dish for a cold winter’s day in London. Now these are perfect! 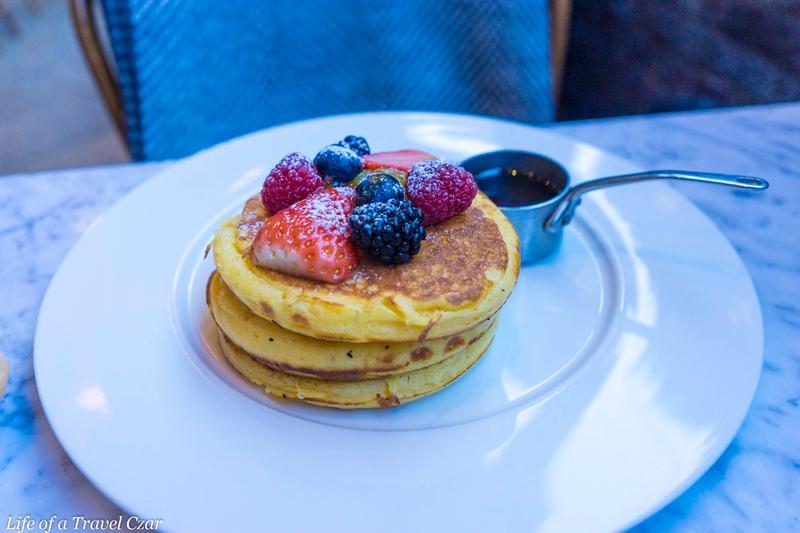 The extreme soft, fluffy and buttery pancakes are paired with the sticky drizzle of maple syrup and juicy fresh berries. One can’t help but feel completely immersed in the experience though you do gaze up periodically to admire the foliage on the terrace. The matcha latte is perfect. 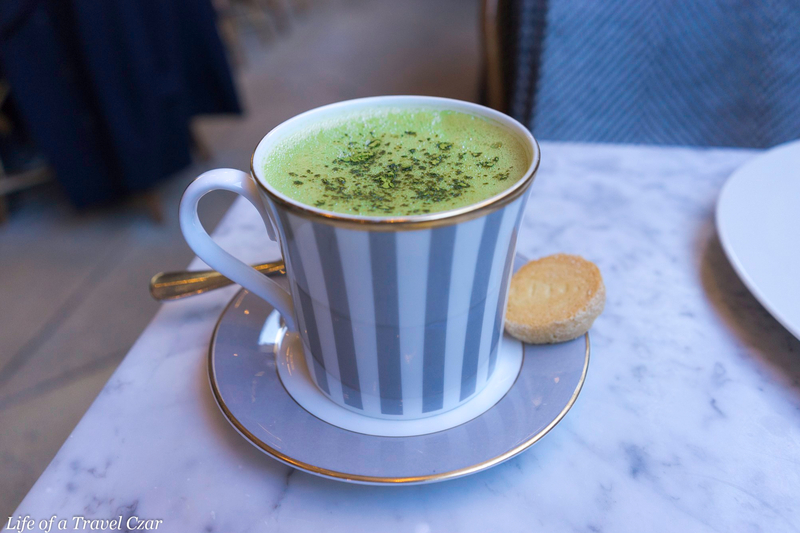 Piping hot matcha with the natural strength of its flavour was soothing for this chilly day and that little butter biscuit on the side was the perfect touch. 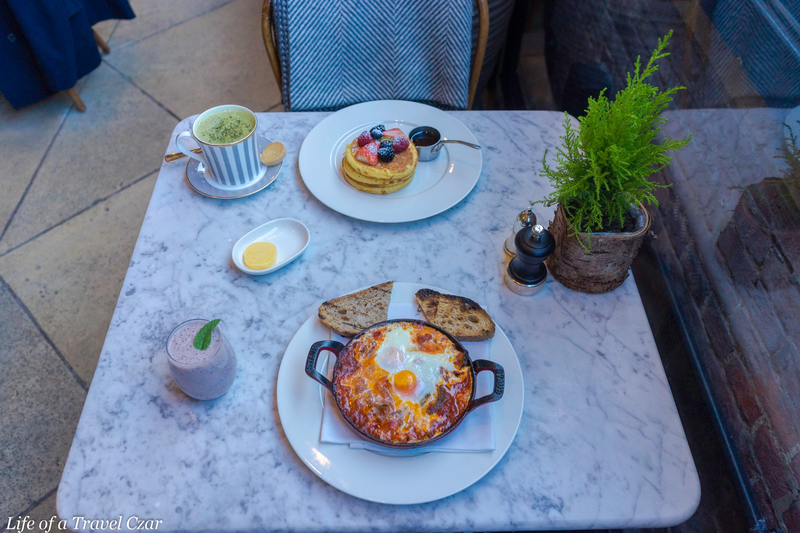 It’s hard to beat this spot for breakfast in London; amazing setting, beautiful aesthetics and of course the breakfast dishes were on point. So take some time out of your diary and spend an entire morning perched on the terrace and lose yourself in the moment!